The brutal murder of Sarah Ford and the disappearance of her six-year-old daughter, Alice, shattered the rural serenity of Julia Havilland's childhood. But these are not the only scars that have resolutely refused to heal. Shortly afterwards, Colonel Mitchell Havilland sacrificed himself on a Falklands hillside in an act of characteristic - but baffling - heroism. When Julia comes home from China fifteen years later, it is to a place of ghosts. 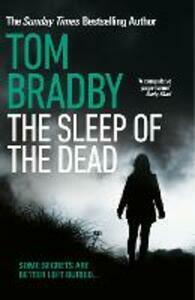 At once a race-against-the-clock thriller and a complex psychological drama where the memories of the past conflict with knowledge of the present, The Sleep of the Dead is a stunning read on any level and more than confirms Tom Bradby as one of this country's foremost thriller writers.